Our professional video analysis service will help you identify strengths and weaknesses within your pitching delivery. 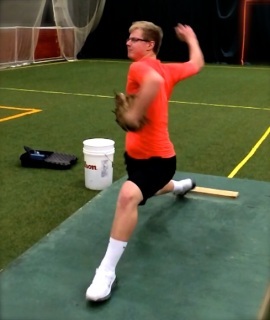 We will also provide you tips and drills on how to improve your pitching. 1. Complete the order form below and click submit. 3. Send us your video for review. We will send you your completed professional analysis within 72 hours of payment. You may also email the file to mpgrady13@gmail.com. Gmail allows a maximum file size of 25mb. Note: If you already paid for your video analysis by clicking the Buy Now button on our homepage, you do not have to complete this form again. With all of the time spent working on and improving pitching mechanics during the off-season, maintaining your mechanics is equally important. With today's cell phone video technology, the process of recording and sending a video is very easy. 1. Click the Buy Now button above to pay for your order. 2. Send us your video and complete an information form.